I have walked by Her Majesty’s Pleasure on King countless times, and it has always caught my eye. From the street you can see the white marble counters and clean aesthetic, with bottles of champagne along the bar. I have always wondered exactly what it was though, because upon further inspection, one can see the rows of nail polish along the far wall. While looking for a place for my cousin and I to go for manicures this summer I came across HMP and realized it’s actually a spa with multiple salon services. Unfortunately they did not have room for two blow outs at the time I booked our manicures, but the experience was lovely! Not only is the spa gorgeous inside, with the most Instagram-worthy aesthetic, but the aestheticians, bar tender and front desk were all welcoming. 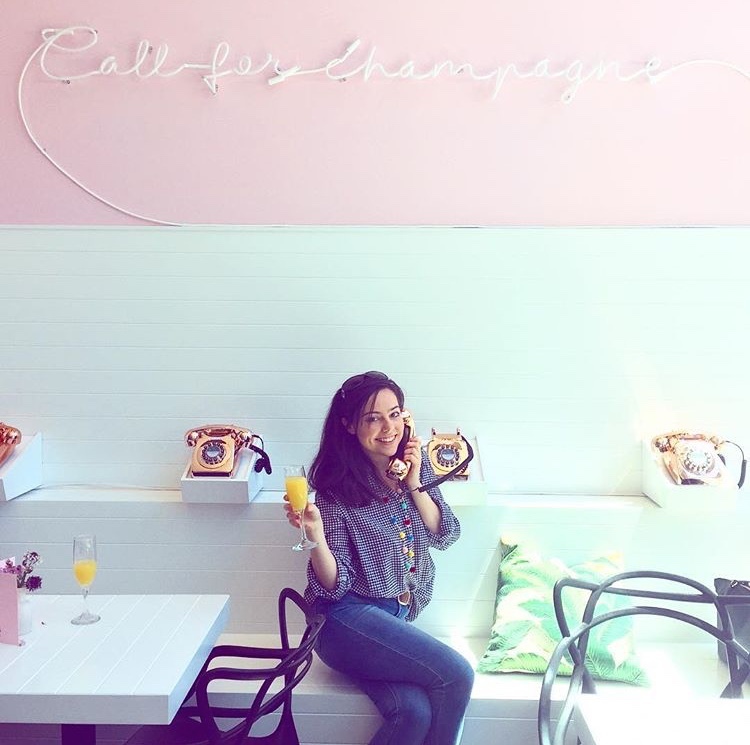 We went for an 12pm appointment on a Saturday and sipped mimosas while catching up before brunch. 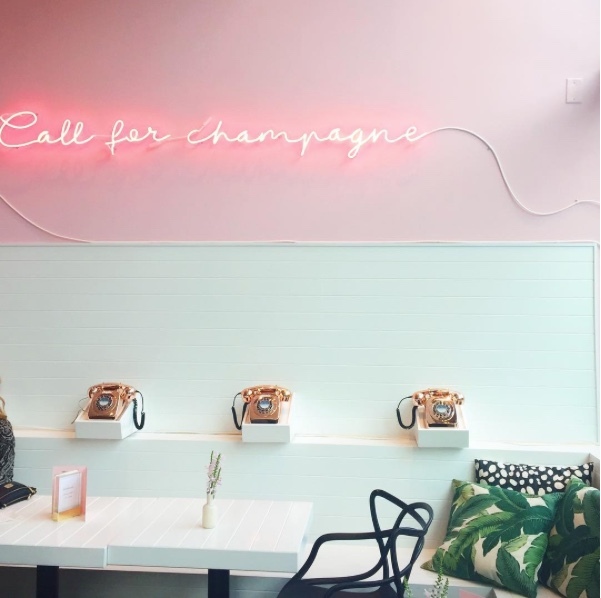 While we waited for our nails to dry we sat under this neon sign “Call for Champagne” hung over a row of gold telephones and a bench filled with palm tree pillows. 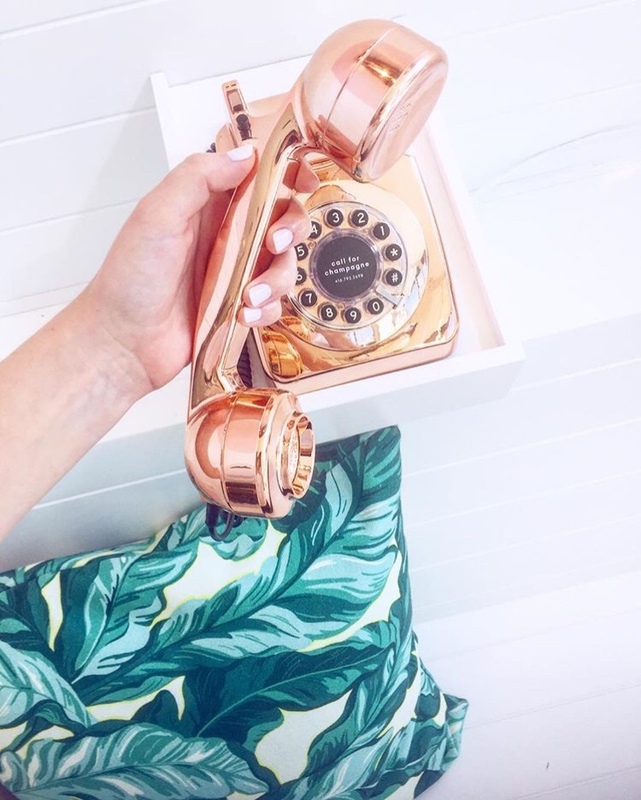 The phones actually connect you to the bartender from whom you can, well order more champagne, J’adore! You can also book party services. This would be a great spot for a girls night, or bachelorette party before heading out on King for the evening. I have since been back, before my most recent trip to NYC as well as my trip to Israel where I had both a manicure and pedicure. I think it’s a great spot to relax and have a pamper day, especially for special occasions, like celebrating a birthday, or catching up with a friend who lives abroad who’s in town for a visit.